There were things that I liked with the book and there were several things that I didn't like. The artwork was uneven, to say the least, and sometimes looked extremely rushed. 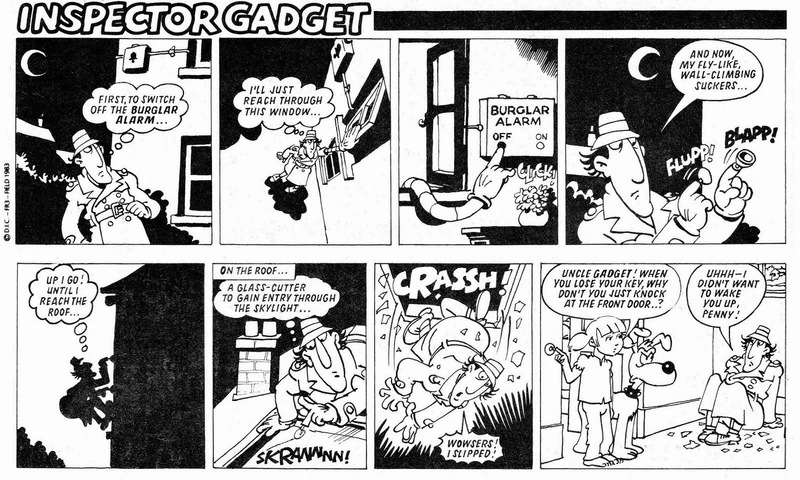 I do hope José Cobá gets a much better grip on the Gadget characters with time. Also, I wish the story could have been much longer, ideally divided into two parts (the story in the book is exactly 45 pages long). The way it is now, it feels like the story ends just when the action is really getting started... I didn't feel satisfied at the end, like I would after one of the best TV episodes. 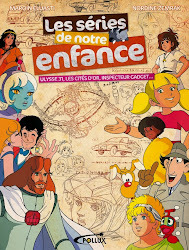 And that's too bad, because Dale Mettam's script has a lot of details and touches which I really appreciate, and which really helps this book feel like the classic Inspector Gadget - in parts, at least. The script's biggest weakness is probably that Penny has way too little to do. 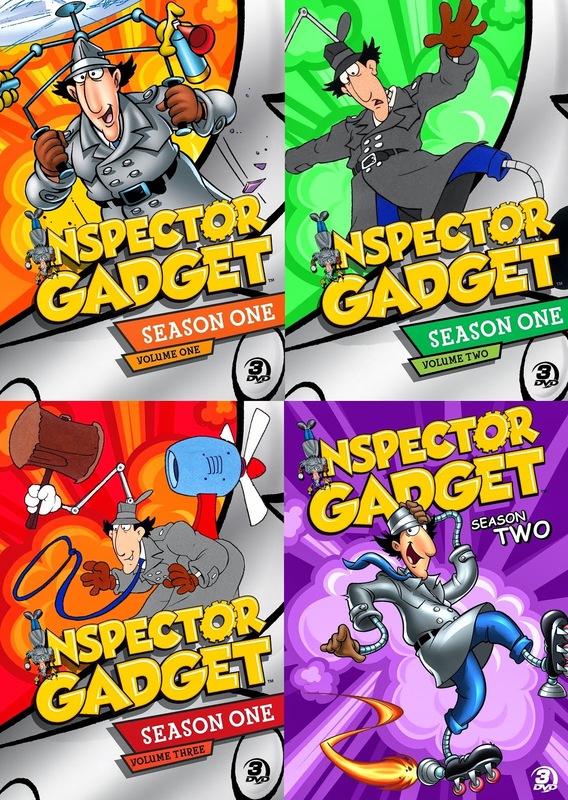 Penny is a very important character to the Inspector Gadget universe but for some reason she gets neglected in almost every revival I've seen. 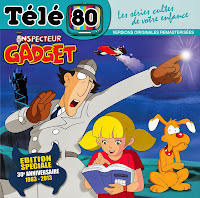 Penny is more or less the heart of Inspector Gadget. 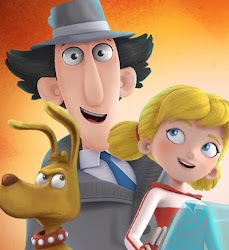 Her love for her uncle is what keeps Gadget alive (remember, she's the one who at times has to talk Brain into protecting him); and the fight between good and evil is not really a fight between Gadget and Dr. Claw, it's between Penny and Dr. Claw. Penny also represents the pure action parts of the TV show's story lines. 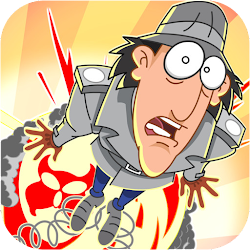 While Brain is running around saving Gadget from M.A.D., Penny goes on high-brow adventures trying to uncover and stop the crime Dr. Claw is up to. She often gets into real perils, and most often has to be saved by Brain... but in the end, she's the one to defeat Dr. Claw. To sum up - I really, really want to see Penny get in on the action in the next issue. Because that's where she belongs. Same with Dr. Claw, by the way. In the TV series, the awesome super-villain is at his best - and most dangerous - when he's personally flying around in his M.A.D. jet shooting missiles at Gadget and friends (or using those missiles/lasers to carry out M.A.D's crime). Now that's action!... and it's something I missed from this first issue. Let's have Dr. Claw back as a hands-on villain the next time around. 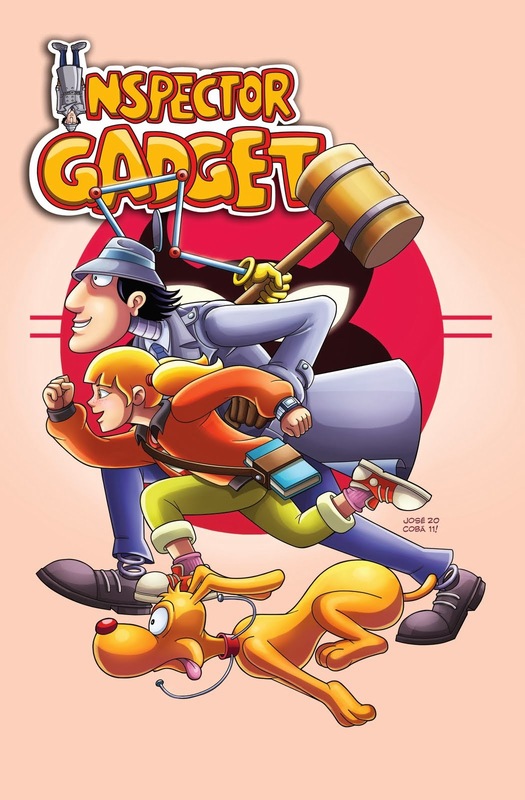 All in all, Viper Comics' Inspector Gadget does have potential... and I appreciate that they're trying to go back to the core of the 1983 series. But if this comic book is to succeed, I think both the writing and the art needs to be tightened and improved. The writing needs to give us more (longer/tighter stories, better balance between the characters), and the art needs to find its characters and generally be more solid/less rushed. Despite these weaknesses, I will encourage people to buy the book and check it out for themselves. Let's give it a chance and see if the following issues manage to improve on things!